Ever wondered what life was like outside of the club for many big name DJs and producers? For the first time ever Steve Angello has let the cameras in to film him and the Size family on the road and in studio. Size TV will capture the creative process that goes into developing the hottest tracks from scratch in the studio, candid moments that fans typically never get to see and an inside look into what being a Size Records artist is all about. 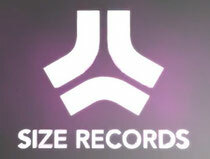 The debut episode of Size TV is available now and offers a pre-Miami Music Week look at Wayne & Woods, Tim Mason, Third Party, Qulinez and AN21 & Max Vangeli as they prepared for the massive Size Matters Pool Party on March 25. Click below to watch the premiere episode of Size TV.